This is the strangest looking all-star team that I have done. Normally, most all-star teams tend to be top-heavy. And by that, I mean they tend to have more players from AAA, AA, and the two full season class A teams. However, the second half was pretty rough for hitters between Iowa, Tennessee, and Myrtle Beach. In fact, the month of August was downright deadly. As a result, this year’s second half all-star team has a decidedly lower half feel. Considering the quality of play by the two Cub teams in Mesa, a few draft picks at Eugene, and an emerging bat at South Bend, there are several new faces who are starting to shine. One of the most interesting aspects of this All-Star team is that it has three players who were not drafted the past two summers. Christian Donahue, Garrett Kelly, and Grant Fennell all made the second half squad and it wasn’t even close. Pitcher Cory Abbott of Myrtle Beach beat out Matt Swarmer for the pitcher of the half award. Abbott dominated the second half of the season, especially in August. 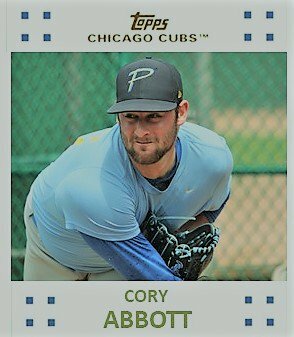 Abbott put up a 2.18 ERA in the half with 61 Ks in 57.2 IP while only walking 10 guys. The hitting award originally came down to the final weekend of the season. I wasn’t sure if I should give it to a player in rookie ball or short season. 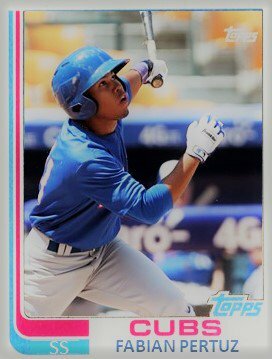 For three or four days, I wavered between Grant Fennell, Rafael Mejia, Delvin Zinn, Fabian Pertuz, Luke Reynolds, Christian Donahue, Trent Giambrone, Delvin Zinn, Jason Vosler, Zack Short, and Yonathan Perlaza. I went on Fangraphs and began looking at weighted runs created plus (wRC+) to get some separation between the candidates. I was surprised by what I found. Cole Roederer lead the two Cubs rookie league teams in Mesa with a 129. His teammate, Brennen Davis, had a 139, but Davis only played in 18 games. 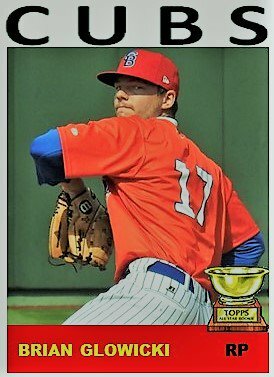 When I started digging deeper into the DSL, SS Fabian Pertuz lead all Cubs with a 147 which is simply amazing. Pertuz outclassed everyone with a .419 OBP and 39 RBI (second to Vosler) in 62 second half games. Add in the fact he had an .800+ OPS and the young shortstop is the surprise winner. As for the reliever of the second half, Brian Glowicki owned it. In the first half, his stats were partly the result of BABIP (poor luck) and poor defense behind him. He tightened things up in the second half and was just a bulldog out there with a 1.05 ERA since the middle of June and opponents only hit .180 against him in the second half. That sits nicely beside his 0.90 second half WHIP. Let’s get to the video…it is organized by affiliate this time. ‹ PreviousMiLB Playoff Action: Oh, My! Ems Back in the Finals!